The University of Evansville Women’s Soccer Elite ID Camp is a 6-hour training program on June 17. It is inviting all 2018 up to 2021 high school graduate female soccer players. Overseeing this event is the University of Evansville women’s soccer coaching staff and its current players. It is encouraging exceptional players to join, showcase their and be a part of the university’s soccer team. The sessions will simulate the training methods that the university women’s soccer program is using. In addition, the participants will experience collegiate level competition through small-sided and full-sided matches. There will also be a campus tour at the conclusion of the program. Furthermore, this elite ID camp will take place at the Arad McCutchan Stadium. The University of Evansville, originally Moores Hill College, is a private, coeducational university in Evansville, Indiana. The university is an affiliation of the United Methodist Church. Its electrical and mechanical engineering programs have an accreditation from the Accreditation Board for Engineering and Technology. The university’s School of Business Administration has an accreditation from the Association to Advance Collegiate Schools of Business. And, its Dunigan Family Department of Nursing has an Indiana State Board of Nursing and the Accreditation Commission for Education in Nursing, Inc accreditation. University of Evansville is one of the region’s top universities. In fact, it is 9th in the Regional Universities Midwest, 2018 edition of Best Colleges rankings. It is 7th in the Best Colleges for Veterans rankings and 3rd in the Best Value Schools rankings. Moreover, University of Evansville fields 17 intercollegiate sports teams. They are participating in the Missouri Valley Conference of NCAA Division I. Leading the University of Evansville women’s soccer is Head Coach Krista McKendree. The season is her 10th season as the University of Evansville Purple Aces women’s soccer head coach. Correspondingly, under Coach Krista McKendree’s guidance, the Purple Aces’ women’s soccer has already 2 conference tournament championships. Then, helping Coach McKendree are assistant coaches Grant Williams, Declan Doherty, and Derek McKillop. 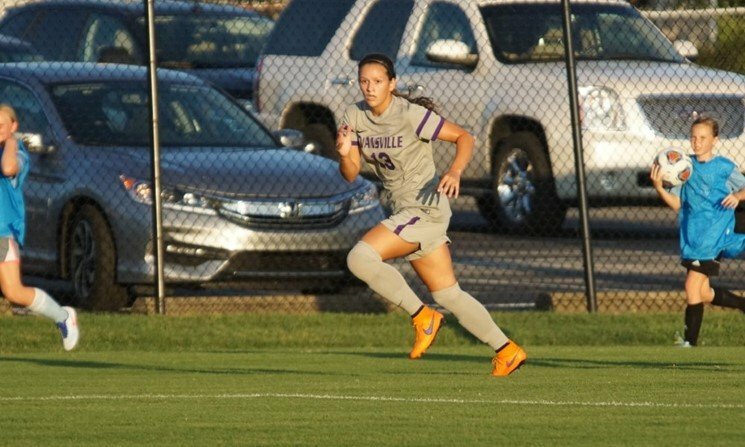 The University of Evansville Women's Soccer Elite ID Camp will simulate the training methods that the university women's soccer program is using.